China's overall macro-economic growth slowdown continues in 2014. The world's leading consumer market research firm Kantar Worldpanel’s latest research data shows that in 2014 overall sales of consumer goods grew only 5 percent year on year. This represents a continued slowing of growth down from 14% in 2011, 12% in 2012 and 7% last year. Kantar Worldpanel predict that this slowdown will continue into 2015. Growth rate decline of food market is particularly significant and the diary category is no exception. The total market demand is levelling off as after many years of change the Chinese dairy market become more mature. Internal and external factors suggest that the Chinese dairy market will also enter the challenges and opportunities of the “new normal”. Against the slow-down in the growth of the overall FMCG slowdown reported by Kantar Worldpanel the import milk market still maintained rapid growth. The market size has increased dramatically as more consumers are purchasing the sector (represented by penetration growing from 8.9% of the Urban Chinese population to 12.9%). Online channel has played a critical role and now import milk accounts for two-thirds of the milk sales in this channel. 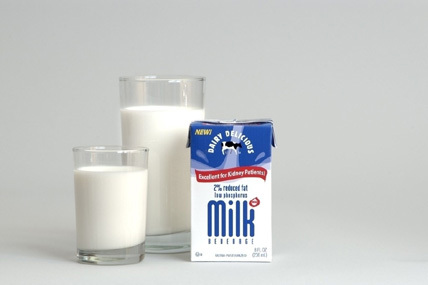 Import milk is seen to offer superior value as the average price is much lower than the Premium milk. This disparity will continue as President Xi’s recently visited Australia and signed the China-Australia FTA implementation to allow Australian dairy zero-tariff access to China. Competitive pricing and increased availability via growth of online channel suggest that the fast growth of import milk will be maintained into 2015 and beyond. Domestic brands are also finding opportunity in the dairy market and competition between several major domestic milk brands has become increasingly fierce. Local brands such as Haihe, Xinxiwang, Junlebao, Jiabao are rising quickly. Their market sizes last year all maintained at least 20% growth on the previous year. These brands took share from the largest players and therefore lowered the concentration of the top brands. Lower loyalty is a macro trend in FMCG as we see more SKUs are available providing consumers with ever more options to choose. This is true as well for UHT milk where the number of brands in the market is increasing. Reaching consumers in China is becoming increasingly complicated as the media environment becomes more fragmented. Different age groups have different preferences on media carriers. Consumers over 35 years old are more likely to use traditional media such as TV, though followed by mobile phones and computers. Younger people under the age of 35 are more diversified and decentralized in terms of media choice making media delivery more difficult. Distribution is also becoming a greater challenge. The latest data from Kantar Worldpanel showed that higher city tier consumers shop in more purchase channels than lower city tier consumers. This means that diary manufacturers have to extend their sales channels to include emerging ones such as online. In addition, the promotion rate of the overall FMCG market has increased for three years meaning more challenging retailer conversations. The level of dairy promotion is still much lower than an average food category; especially on UHT milk and yogurt drink which suggests there is still space for further price discounting or multi buy. Chinese dairy consumption is still a big gap compared with developed countries. Even within Asia China has not reached the average consumption level offering signs that as living standards improve and tastes change the market can mature further. Chinese dairy consumption has a big development potential and that means each manufacturer can increase consumers’ milk demands by continuing to educate them on how and why to consumer diary. Across most FMCG categories consumers are trading up to more premium products. Kantar Worldpanel’s 2014 data found that the price increase meant has become the main growth dynamic of food category as premium products saw highest growth rates in their categories. Diary is no exception and this trend provides diary enterprises a good environment to develop and sell high value-added products. In UHT milk category, Yili Jindian and Mengniu Deluxe enjoyed rapid growth from around 30% growth. This trend shows that if consumers are willing to spend more to get a higher quality product. Concern over health is another macro trend in China. Many products claiming to offer health benefits are growing very well. Examples include functional biscuits, premium water, cosmeceutical, functional beverages and liquid dairy which all maintained over 10% growth. Diary offers a range of health benefits as can be low in fat and an important source of calcium. One emerging category to successfully catch health trend wave is fresh yogurt drink. Yakult kick started the category with its clear probiotic positioning and its success has inspired many dairy companies to launch their own products. Mengniu YouyiC and Yili Meiyitian both maintained more than 50% growth showing there is strong appetite for innovation in this sector. Another key trend is companies successfully applying the probiotic concept through to other categories: for example, Jiangzhong group’s hericium erinaceus biscuits launched only 10 months ago, but have attracted 3million households to purchase. Health concept looks likely to only grow in importance for Chinese consumers as the population age, government step up health related education and manufacturers develop more innovations. This can provide a huge opportunity for dairy industry if it can position itself effectively. Chinese consumers show great willingness to try new products has accelerated the rate of innovation from manufacturers. The Dairy category as a whole has benefited from manufacturer led innovation as well as the brands themselves. For example, the UHT yogurt contribution to the overall growth of dairy category increased from 15.4% to 29.2%; banana milk’s contribution rate increased from 2.1% to 5.7%. New packaging, prominent features and unique tastes are all provide consumers a new perspective and experience. Another “new normal” in China’s diary industry will be the need for a strong new initiative pipeline and products to inspire consumers to try new sectors or trade up. How to face the challenges and how to deal with Chinese dairy market’s "new normal" will be the focus of all the dairy companies. There are clear opportunities to be successful within this environment through watching consumer trend changes. Meeting consumer demand for high-quality products, successful innovation, more channels to purchase in and a clear health benefit will lead to fast growth as market matures.